I should have read this book sooner. It’s BRILLIANT. 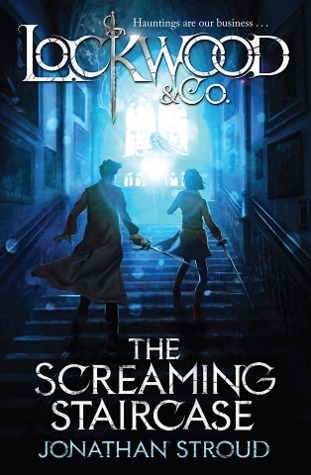 I’ve had Lockwood & Co: The Screaming Staircase (by Jonathan Stroud) on my shelf for a few months. I know quite well why I didn’t pick it up before. It’s hardback (and therefore not my preferred format for reading since I like paperbacks), it’s got a lot of pages, and the front cover and title made me think it was all spooky fantasy stuff which isn’t really my kind of thing. But when I did my mini-promotional tour for Looking at the Stars in March, I KEPT seeing this book on school library shelves, and more than one librarian told me how popular it was. So eventually, teeth somewhat gritted, I got it down from the shelf. And wow. I mean, really – wow. It’s THAT good. And not at all what I was expecting. The basic plot is this: we’re in a kind of alternative London. It’s got a Victorian feel, with swords and gaslamps, but it’s definitely modern day. The premise is that fifty or sixty years ago, ghosts suddenly started to increase in number. And these aren’t your floating-around-making-ineffective-wailing-noises ghosts – some of these are ANGRY and they can kill you if they ‘ghost touch’ you. (You get very very cold and then just sort of expire). London is now full of ghosts, more springing up all the time, and so of course that’s led to a rise in professional ghost-hunting (along with big sales in lavender, silver, iron, salt etc). Which is where Anthony Lockwood comes in. He’s a teenager who runs a ghost-hunting agency, a very small one, and his newest recruit is Lucy Carlyle. Of course, kids are far more susceptible to ghosts than adults, being more emotionally and intellectually open to weird stuff, and Lucy is more talented than most, being able to sense what a ghost might want and when it’s preparing to attack. Lucy is a really fantastic heroine. 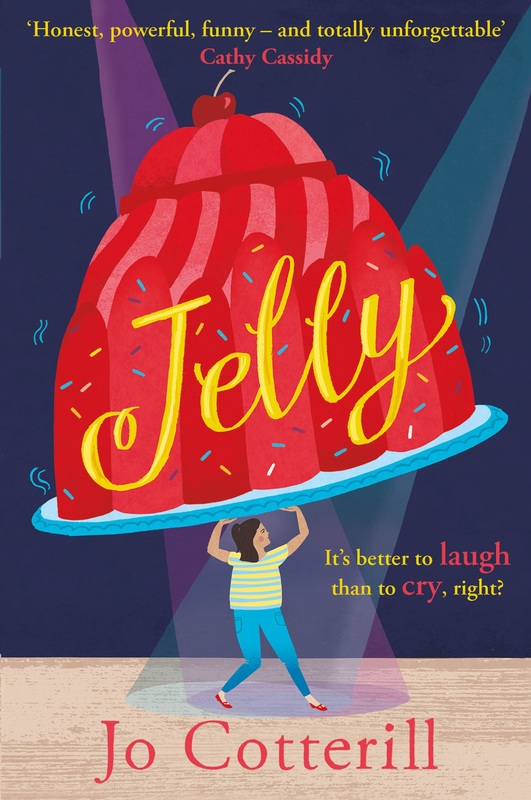 The book is narrated in the first person by her, and she’s refreshingly focused on her job and lacking in self-pity or self-consciousness (which is a bit of a staple for fifteen-year-old protagonists). She’s good with a sword and a team-player, and I loved her relationships with the other two members of the agency: a slightly uncertain is-it-attraction relationship with Lockwood himself, and a find-each-other-quite-objectionable tolerance of George, who has unexpected hidden depths. Together they work extremely well, although Lucy’s impetuousness gets them into trouble more than once. It’s her action in the very first haunting that sets off the plot for the rest of the book – trying to lay to rest the vengeful spirit of a young woman bricked up behind a fireplace by her supposed lover. Lucy takes a necklace from the body which causes all kinds of problems for the agency. But I won’t say any more because I don’t want to give away any secrets!